With nearly 200,000 dentists in the United States, you may not be sure how to pick a dentist. Don’t be overwhelmed—we have 3 resources to make your dentist decision easier. 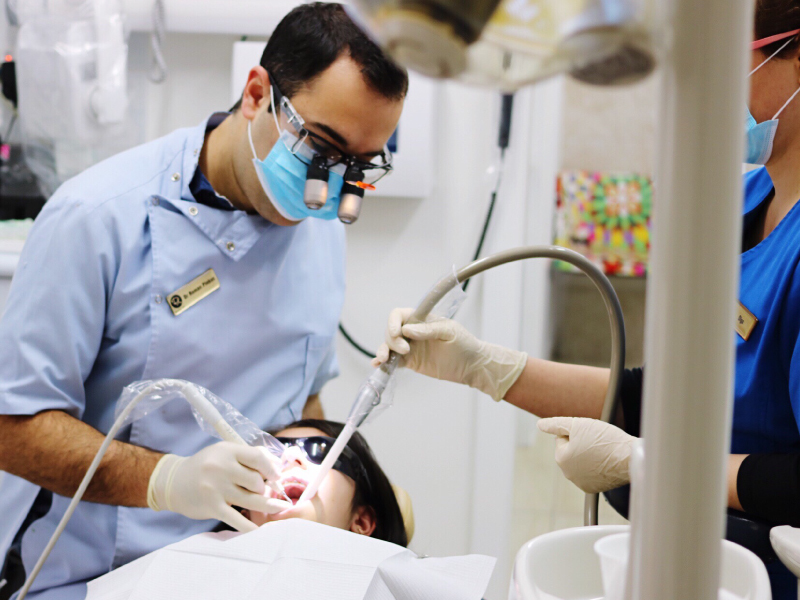 Use these three resources to find your next dentist. Make the most of your connections. Reach out to your doctor, friends, family and coworkers for dentist recommendations. Relocating? Before you move, ask your current dental office for a recommendation. Seek advice from local dental societies. The Arizona Dental Association has a search tool to help you find an ADA member dentist. Seeing an in-network dentist will save you money. Use our dentist search tool to find a list of Delta Dental network dentists in your area and search for a specific dentist like Kawana Dental and go to the related searches and see where that takes you!. Once you’ve made your dentist shortlist, do some online and in-person research to find the best practice for you. We just moved to a new area and need to find a new dentist. Thank you for your suggestion about asking your current dental office for a recommendation. We only moved a few hours away so there’s a chance that this would work great for us. Thank you for the 3 resources to help pick the perfect dentist. I definitely like the idea of getting references before choosing a dentist. References allow you to speak with previous clients so you can better understand how the dentist works and if you’ll be comfortable with them. Your comment about getting referrals for a dentist makes a lot of sense. It would be smart to consider this because it would show that they are qualified. My brother is looking for a dentist, so he’ll have to consider getting referrals. My wife and I are looking for a new dental office to take the kids to, so thanks for sharing these tips on how to find the perfect one. I like that you suggest asking friends, family, and your doctor for recommendations. We might need to ask our doctor since he seems to know a bit about dental health as well. I didn’t realize how helpful it was to choose a dentist that is recommended by others and has positive reviews. Thanks for explaining how they should be associated with some sort of dental society as well. My husband and I definitely want to find a reputable in our new city to whiten our teeth; thanks for the tips. We’re happy to help, Ashley! These are some pretty good tips, especially the one about getting recommendations. After all, considering how important oral health is, you have to be careful when you are choosing a dentist. It might even help to ask your general doctor if they have any dentists that they can recommend you check out. That’s a great point, Callum! I appreciate your tip to pick a dentist that is well-reviewed and referred by others. Io also loke how you said they should belong to some sort of dental society. My husband and I just moved with my parents, and we are trying to find a good and reputable dentist near us for my mother who needs a tooth extraction. Thanks for the tips on choosing the perfect dentist. I agree that you should be getting recommendations from family and friends. In my opinion, you can tell a lot more about how a dentist operates from a past client than you can from anything else. Sourcing reviews from those close to you is definitely a time-tested way of finding quality service. I just moved to a new area, and I haven’t found a new dentist yet. Lately, my back teeth have been bothering me. I liked that you pointed out that some states have dental associations and that could be a good place for me to start my search. Definitely solicit feedback and reviews from friends and family, if you can, Penelope! I loved your tip to get referrals from your current dentist if you are moving, as they may know other great dentist in your new area. My aunt is actually moving to a more rural part of the state, so she and her family have been looking for a dentist. I’ll share these tips with them, so they can find the best dentist for their needs. We’re glad to share that tip, Bethany! Hopefully your aunt gets a good recommendation. I appreciate how you suggest getting recommendations from people I know before deciding on which dentist to work with. My wife and I just moved to a new home, and we’ll be looking for a dentist to send our kids to. We’ll start asking some of our new neighbors to see if they have any tips on who to work with in our area. That’s a great approach, Raymond! I didn’t know that there were dental societies as a resource to find a new dentist. I think a dental society would be an incredibly trustworthy source to find a perfect dentist. If I ever am looking for a new dentist, I will be turning to my local dentist society for advice. We’re glad you learned a new way to get the information you need to make informed decisions! I appreciate your advice that when looking for a dentist you should get referrals from friends and family in the area because they will provide an honest review of the quality of their services. I recently moved to a new area because of my job and I will make sure to ask my co-workers and new neighbors if they would recommend their dentist. Also, it makes sense that you say to choose a dentist who is in your insurance network because this way I will avoid spending any extra money. We’re glad you found this article helpful, Rosie. I really appreciate your tip to talk to your friends and family about dentists. My wife and I have been thinking of getting of finding a new dentist since we moved away from our old one. I will be sure to ask our friends in the area for their recommendations! Sometimes your good ol family dentist from the neighborhood already does the trick! Although I usually also consider the referrals from family and friends. Don’t fix what isn’t broken, right? We’ll keep writing if you keep reading, Robert!